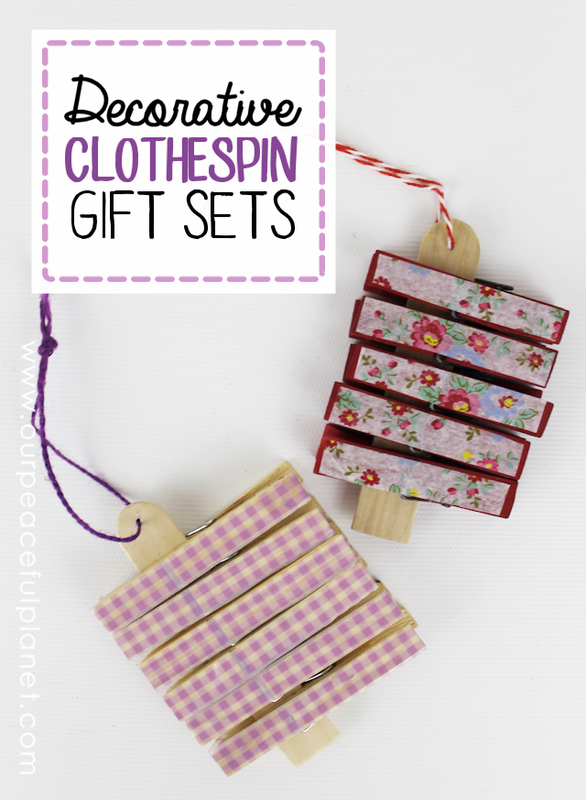 These pretty clothespin gift sets are inexpensive to make and come with a very unique display holder. The perfect present for a variety of occasions they can be used for a many things from note and photo holders, to bag clips. One of many wonderful clothespin craft we have here on our site! How adorableadrable! What a wonderful hostess gift! I love this idea, it make such a beautiful gift set. There are probably endless options for decorating the clothespin, so you can make a unique gift for each recipient to match their taste and style (pinned!). Yep there’s no limit to how you can decorate these. Thanks for stopping by Noa! These are so pretty! I kind of want some for myself. They do look like great gifts! Thanks for linking up to Snickerdoodle Sunday! Thank you so much Kristin & Millie! How cute! I especially like the sawed off Popsicle stick holder. Creative! I made some book page magnet clothespin and clipped them onto a “thank you for coming” note as a party favor. So many uses! These are cute. I’m visiting from AKA’s Weekend Link Party! Welcome Cheryl! Thanks so much for stopping by! Previous: Healthy French Toast with Banana Coating! Next: Organize Fabric with a File Cabinet!